If you're a fan of robotics, the Kuratas robot (aka Vaudeville) will blow your mind. This is a boardable gigantic robot that you can use to play, fire weapon, and of course ride. I can't even describe this robot after watching this video. Control System: AE V-Sido, the control system of the computer technology is watched by all world interest. Not only operating by boarding the pilot's seat, but also enabling you to control and interact Kuratas with Kinect. Moreover, without taking a professional training such as a combat plane, people can operate it easily. Furthermore, you can control Kuratas via the mobile 3G Internet access. You can customize it online before you order your dream robot. Here's the link where to build your robot. After the additional gadgets, weapon, communications, and choosing green color. The estimated cost of my robot is $1,933,500. I hope Tax and shipping is included. Watch this video on how to ride the Kuratas robot. 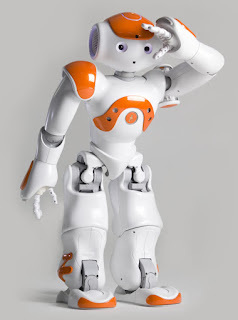 Let's give our attention to NAO Robot from Aldebaran-Robotics. It is a programmable 57-cm tall humanoid robot with a body component of 25 degrees of freedom (DOF) whose elements are electric motors and actuators. If I remember it right, the Honda Asimo robot is using 34 degrees of freedom. This is a amazing! NAO Robot also has sensor network, including 2 cameras, 4 microphones, sonar rangefinder, 2 IR emitters and receivers, 1 inertial board, 9 tactile sensors, and 8 pressure sensors. The CPU is Intel Atom 1.6ghz CPU that you normally see in Netbook computers, and to my surprised a second CPU located in the torso area of the robot. The full robot specifications are posted here. I will try to enter to their developer program to share my knowledge and help them expand NAO capabilities in home or office use in the future. Wish me luck! The price tag between EU$3.5K-15K, so I guess not for everyone. Visit Aldebaran-Robotics to know more about NAO. 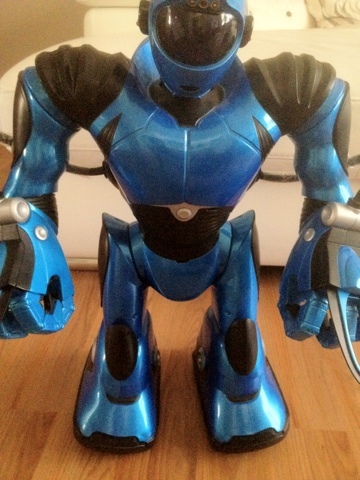 This is one of the humanoid robots to watch that will help change the robotic world. Excerpt from Hanson RoboKind website. Hanson RoboKind robots bring you amazing Hanson facial expressions on walking bodies, for the most lifelike robots in the world. 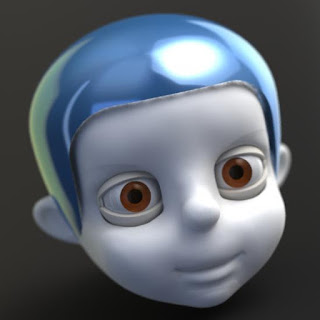 With high-definition cameras, numerous sensors, software API, Maxon motors, and a powerful embedded computer, RoboKind robots are perfect for RoboCup, robotics, and psychology research. Our robots are capable of the full range of human expressions. The key is our skin, made of our patented Frubber™ material. Frubber™ is a biomimetic polymer that contracts and folds just like human skin. This allows the robots to achieve life-like expressions in a low power, robust package. Because of our skin, our knowledge of anatomy, and our sophisticated robot engineering, RoboKind robots can accurately simulate the action of over 32 facial muscles. The eyes move independently, and contain separate cameras for true binocular stereovision. The eye action allows for natural eye motion, simulating natural eye saccades. The eye and neck DoF redundancy is important for expressive gestures and gaze fixation. The eyes contain high def cameras that are 720p, 30fps with USB 2.0. The eyes have natural eyelid action. The head nods, turns, tilts and pitches. The head also contains two microphones, located near the ears, for full audio processing. Our bodies are built stronger, faster, and they feature the powerful Dynamixel Servos. For those models that walk, they use RX-64 servos in the legs, allowing quick movement and consistent performance. Models with gestural arms use RX-28 and RX-64 servos in the arms, allowing for strong movements, as well as fine precision. Our bodies also contain an amazing sensor array, including an IMU with a 9 axis gyro/accelerometer/compass, temperature, torque, and touch sensors, and many other sensor options. It is all controlled by our on board computer. It is fully featured, and directly controllable. The current models for sale are R-50 Expressive face with full motion body $16,750, and R-30 Expressive face with gestural, non-walking body $11,500. As of now, they are planning to release an open-source and complete SDK for software development on any RoboKind platform. For more information, please visit Hanson RoboKind website. I found this Actuator working principle from the ECCERobot.org website. The design is very basic but definitely will give you enough information to map your own actuators. As of this date, the Google Glass is not for everyone. The retail cost is $1,500 for the Explorer Edition. It's moving ... I have a website to post my robot project development. The SmartTripod take home the grand prize $10,000.00. Watch the video.